# ./configure --prefix=/usr/local --with-ensurepip=install --enable-shared LDFLAGS="-Wl,-rpath /usr/local/lib"
Tip:这里其实是一个远古巨坑, 网上90%以上资料的会粗心的直接使用yum install mod_wsgi去安装apache mod_wsgi模块, 这样做其实最终mod模块会调用本地默认的python2的所有库文件, 无论你后面如何配置django入口文件, apache都不会使用我们配置的virutalenv下隔离的python3, 导致apache无法调用python3而报错. 这里小伙伴要注意哦. 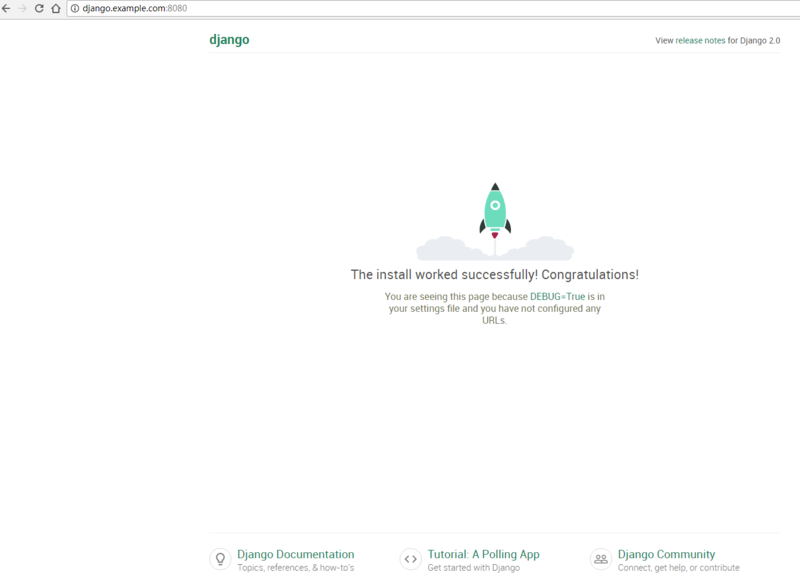 # django-admin startproject myproject .